The 2019 James F. Barker Ethics in Action Award will be presented to W.T. 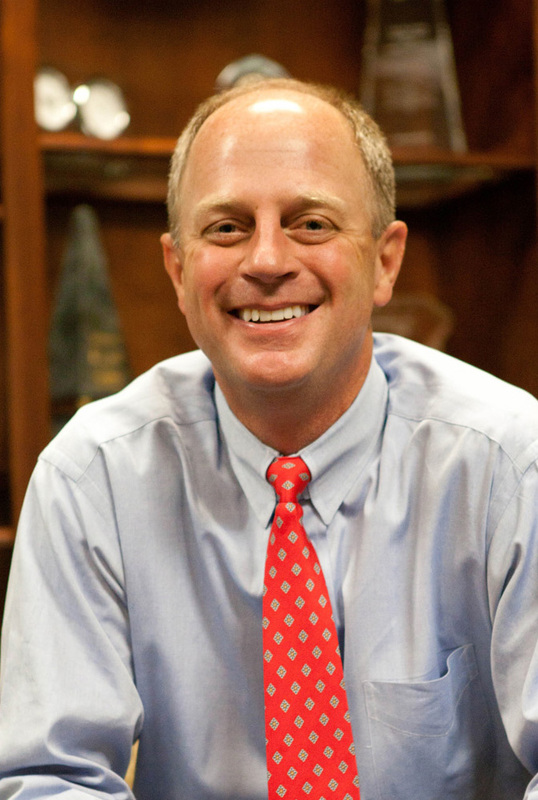 'Tobin' Cassels III, President of Southeastern Freight Lines, Inc., based in Lexington, South Carolina. The award celebrates an individual’s actions that exemplify integrity and aims to encourage and recognize the value of ethics in our society. The recipient is selected from among nominations received by the Rutland Institute for Ethics Advisory Board. Dr. William C. McCoy, director of the Rutland Institute for Ethics, said "As his nomination attests, Tobin exemplifies ethical behavior in numerous ways, especially through his guidance of corporate philanthropy and community service. The dedication of Southeastern Freight Lines to both internal and external customers has garnered over 390 quality awards from some of the most respected companies in America. With uncompromising values, Mr. Cassels has led the way in industry standards strengthened by an ethical foundation. Congratulations to Mr. Cassels for his hard work and dedication to true ethical leadership in his industry and beyond." In 2014, the Rutland Institute for Ethics Advisory Board elected to name the Institute’s highest honor after James F. Barker, the 14th president of Clemson University, in recognition of the ways he exemplified integrity, thereby bringing ethics into focus in the best possible way: by living it. The James F. Barker Ethics in Action Award is an ongoing and constructive way to recognize and encourage commitment to ethical conduct and the value of integrity. Barker himself received the inaugural Ethics in Action Award in 2014. In 2015, Greenville nonprofit executive and founder of The Family Effect, Scott T. Dishman, received the distinction. Minor Mickel Shaw, philanthropist and community leader was the recipient in 2016, and former Charleston mayor Joseph P. Riley Jr. was presented the fourth annual James F. Barker Ethics in Action Award on February 10, 2018. Specific questions about the award can be directed to Dr. William C. McCoy at: wmccoy@clemson.edu or by calling (864) 656-6147. The purpose of the award is to recognize and celebrate action that exemplifies integrity and, in a continuing and constructive way, encourage commitment to ethical conduct and the value of integrity. A subcommittee of the Rutland Institute for Ethics Advisory Board will select the award recipient. The subcommittee will include the director of the Institute as well as other persons designated by the RIE Advisory Board. Recipients will be recognized for action(s) and significant accomplishment that reveal deep and sustained commitment to ethical conduct and the value of integrity: nominations will include a narrative description of the action(s) and accomplishment(s) that prompt the nomination and be supported by independent references (i.e., sources in addition to the person submitting the nomination). The Rutland Institute Advisory Board decided to name the Institute's award The James F. Barker Ethics in Action Award in recognition of the "ways in which he has exemplified integrity thereby bringing ethics into focus in the best possible way: by living it.... [and, accordingly, to make the award] an ongoing and constructive way to recognize and encourage commitment to ethical conduct and the value of integrity." In 2018, through the Robert J. Rutland Institute for Ethics at Clemson University, a scholarship opportunity was established to provide financial assistance for students who exhibit ethical leadership through excellent decision-making skills. Named after Mrs. Cherry Braswell Rutland, the late wife of Mr. Rutland, the scholarship is designed to recognize a student at Clemson University who has demonstrated ethical fortitude in the face of a true ethical dilemma. A minimum of one award will be presented annually in the amount of $1,000 to an eligible student who embodies the spirit of ethical leadership. A panel of judges will determine awards. Judges will primarily consist of the following university personnel and alumni: Dr. William McCoy (Director, Rutland Institute for Ethics), Mrs. Carie Rutland Cordero (Alumnus), and Dr. David Stegall (Senior Lecturer in Philosophy). Applications are accepted each fall and the awards will be presented formally each spring during the annual James F. Barker Ethics in Action Award Dinner. All questions should be directed to Dr. William C. McCoy at: wmccoy@clemson.edu or by calling (864) 656-6147. "Cherry Braswell Rutland was raised in Decatur, Georgia and graduated from Emory University where she went on to serve others through the field of nursing. She married Robert J. Rutland and together they had three daughters and nine grandchildren. Cherry was a highly sought after friend, with a contagious laugh and beautiful smile. She had a passion to see others grow in the Lord, which was made evident by her time and commitments. She continually prayed for people and gave her time and resources to her local church and numerous mission organizations. Her character was proven even in the last few months of her life as she continued to place the needs of others ahead of her own out of a heart of servitude while battling cancer. Her commitment to ethical decision-making was consistently demonstrated through her faith." In 2001, Stephan Barton established an ethics scholarship in honor of his late father, J.T. Barton Jr. Mr. Barton was a proud alumnus of Clemson University (Class of 1950), and passed spirit of excellence down to his son – Stephan – who is also a proud Clemson University graduate (1972). The scholarship was originally supportive of students who could demonstrate a noteworthy understanding of the essence of an ethical dilemma, as well as excellence in strategic thinking on how to deal with the dilemma through ethical decision-making skills. It was an opportunity for students to explore an ethical issue pertinent to today’s society and present a reasoned argument to back up their conclusions about it. The scholarship is now awarded to a singular student and/or a student group on the Clemson University campus who programmatically uses the award to in part or fully advance good ethical decision-making skills. Three awards are provided annually in the amounts of $1,500, $1,000, and $500. A panel of judges made up of the Rutland Institute Advisory Board Program Committee members will determine awards. Scholarship awards will be presented formally during the annual James F. Barker Ethics in Action Awards Ceremony during the spring semester. "J.T. Barton, Jr. was born in Greer, SC, and lived there his entire life. He graduated from Clemson in 1950, and his enthusiasm for Clemson affected the entire family, from "helping" 8 family members graduate from Clemson, to adorning his home throughout with Tiger memorabilia. After graduation, he embarked on a textile management career that demonstrated his demand for fairness and equality for his hundreds of employees, and they responded to him with loyalty, dedication, and appreciation uncommon in that environment. He treated family, friends, and employees, rich or poor, with respect and attention, always considering everyone equal. He was a model of consistency, as he lived in one city and was a member of First Baptist Church for 74 years, had one wife for 54 years, and held the same job for 41 years. His exemplary teaching and leadership has spawned countless others striving to do the right thing, always." Must be an enrolled Clemson University undergraduate or graduate student. Must thoroughly complete the scholarship application. Grammar will strongly be considered. Must provide compelling evidence of programmatic intent, in part or in full, of promoting ethical decision-making in the face of ethical dilemmas. Applications are accepted each year between November 1st – December 31st. All questions should be directed to Dr. William C. McCoy at: wmccoy@clemson.edu or by calling (864) 656-6147.